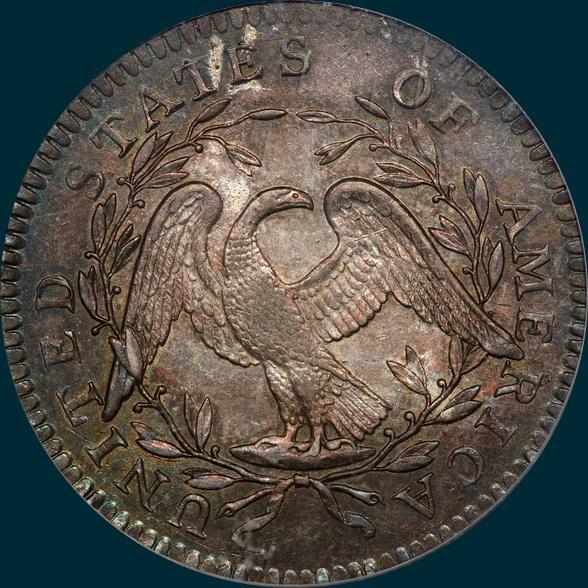 There are a handful of MS and AU examples, as well as a decent group of mid grade coins available for this marriage. 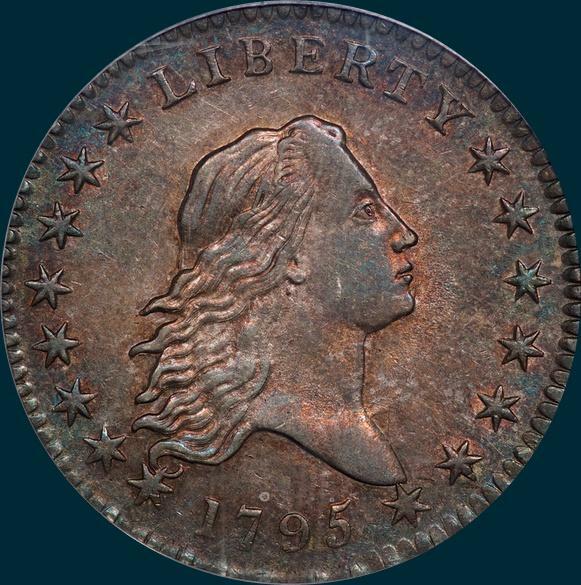 This makes the more readily available list of Flowing Hair Half Dollars. Variety Attribution: Obverse-Point of star 1 pierces entirely through to inside of lower curl. Star 2 points directly at end of second curl. Star 15 is solidly attached to under side of bust 1/2 mm. below point. Date is 8 mm. and rather low. Reverse- 17 berries 9 left and 8 right with three berries under the right wing , and all are in a row above wreath. POL Point of leaf below I even with left base and distant. R very close to wing but does not touch. leaf below N recut.